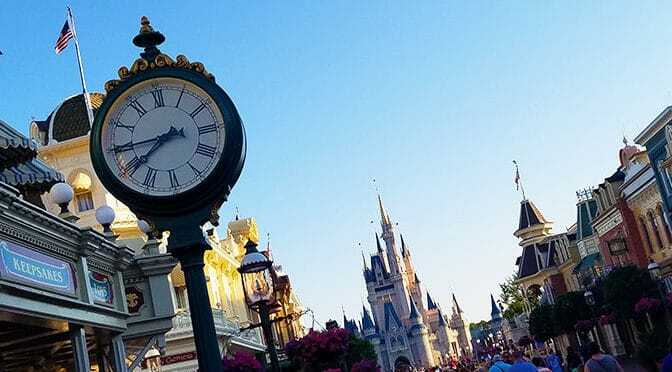 Magic Kingdom Early Morning Magic has added additional dates for purchase. The new dates extend all the way until August 2019. Guests can now purchase Early Morning Magic for the Magic Kingdom from February all the way until August 6, 2019. It is usually held on Sundays and Tuesdays each week. You can book your date here. When will they release dates for October? I called dining reservations and was able to book a date later in August. There are more dates open now if people are interested!! They line you up near the ride and let you on right before park open. Don’t you mean “is now served”? Thanks for the heads up on the dates. Have they added early morning hours for toy story land at Hollywood studios yet? Is there any indication that they might discontinue HS EMM. We loved loved loved it in January. Still too much money for me for only an hour and fifteen minutes and only seven rides. I agree. We did this in December and they held us outside the park, and were 8 minutes past time for it to start until they let us in! Then we of course had to walk to Fantasy Land. It was such a rush. We did ride the Mine Train multiple times which was cool, and the breakfast was really nice. Breakfast was at Cosmic Rays and you just went up to the counter and they gave you a platter of food, then you could also select items from a continental buffet (bagels, fruit, etc.). If you wanted more hot food you could go up and get more. If we didn’t have such a nice breakfast, I would have been even more disappointed. I did it 2 weeks ago, they held us 23 minutes outside the park. Still got to ride almost everything. In such a panic to ride we forgot to get breakfast after. Then, we did early morning magic in HS the next day and they let people in to ride at 7 instead of the posted 730. Ah well. Still got to ride the coasters a couple times in peace! How do these events affect the crowds on that day? We had planned to go to MK on Sunday but don’t really want to pay extra after purchasing a 7 day ticket. Why were Tuesdays skipped at the end of April and beginning of May? So disappointed. I was trying to figure out if they were skipped or if they sold out that fast? Guess it makes my decision easier. I wish the time was 7-9..I felt so rushed as a lot of the rides take long….Toy Story is longer and there are less rides. Do they usually have Extra event and After Hours during Thanksgiving Week? Any word if they will be adding after hours? Currently goes until April 11.I am looking for following week.